The dead period is about to end, so contact will be permitted between coaches and prospects, plus official visits will begin again the weekend of Jan. 12. There has now been time to gather intel about which prospects Nebraska is targeting and who has interest in them. Let’s take a look at targets by position and predict who will end up in the Nebraska recruiting class for 2018. Quarterback prediction: Nebraska already has Adrian Martinez on campus but with only 3 scholarship quarterbacks on the roster, the Husker will certainly look to add a second signal-caller. Joiner, an Arizona commit, is the player in this group that I feel like is the best prospect, and he is scheduled to visit on Jan. 19. With that being said, I believe that 3-star Matthew Tago (6-3, 225) will end up being the second quarterback in this class. He will be on an official visit to Nebraska Jan. 12. The interesting thing with Tago is that if he doesn't work out at quarterback, Nebraska can move him especially if they go all-in on future No. 1 2019 Greg Guy Max Duggan‍. Running back prediction: JUCO running back Greg Bell is expected to contribute immediately and is now on campus, but Nebraska is trying to add at least one more quality player to the running back room. Corbin is a long shot but both Henry and Washington are scheduled to be on campus Jan. 12 for official visits. This one is tricky because Washington is the No. 1 running back target for Nebraska right now, but Henry is also electric. The numbers in the class might say Frost will choose between them, but I believe Nebraska will land both Henry and Washington. Wide receiver prediction: With Nebraska already having Jaron Woodyard, Katerian Legrone and Justin McGriff in the fold look for Frost to add more even more speed to the group. Mike Williams from East Mississippi Community College will visit Jan. 12, and enroll in class on the 15th. Watt is also a Jan. 12 visitor and I’m going to say he ends up in the class as well. Bush is a player that Nebraska will not turn away if he wants “N” but they are facing an uphill battle. The Huskers could look to add one more player from this list as well since they consider Legrone as a potential tight end a well. Nebraska is finished at tight end this cycle after adding 4-star Cameron Jurgens. Offensive line prediction: One thing you’ll notice is that this list is a bit heavier on guards than tackles even though tackle is the bigger need for the 2018 recruiting class. That just seems to be the way things shook out for this class, but I don’t think Nebraska misses on all their tackle targets. I do believe the loss of Nick Gates will allow Nebraska to take an extra offensive lineman this cycle. I predict Bell (visiting Jan. 12) and McDonald (visiting Jan. 26) will join the class to go along with Will Farniok who is already on campus. Defensive line prediction: As of right now, I don’t have any defensive lineman scheduled for an official visit in January or the first weekend in February. Nebraska has Tate Wildeman in the fold and has a young group of defensive lineman in Lincoln already so it may not be the biggest need to reach on a lineman just to have one. There is a very real possibility that defensive tackle Masry Mapieu does not qualify leaving Wildeman as the only defensive line recruit in the class. Of the group above, Carson represents the best chance at the Huskers getting a commitment as of now. Linebacker prediction: Nebraska landed the defensive star of the class when it got Will Honas. Adding one or both of their remaining targets would be huge for the class. Dixon visits Jan. 12 and I believe he will enroll in classes on Jan. 15 joining wide receiver Mike Williams as another immediate addition to the class. Dixon, a former 4-star recruit, has to get a waiver from the NCAA to be eligible right away, but there is confidence that will happen. Jean-Baptiste is scheduled to visit on Jan. 12 as well so Nebraska will get a great shot to impress him and sway him from his Virginia Tech lean. I think they ultimately miss out on Jean-Baptiste though and are left searching for a pass rusher. Defensive back prediction: The Huskers signed junior college defensive back Deontai Williams during the early signing period and have a verbal from 4-star safety CJ Smith. Cam Jones is potentially already a silent commit so that could finish off safety recruiting for this class. 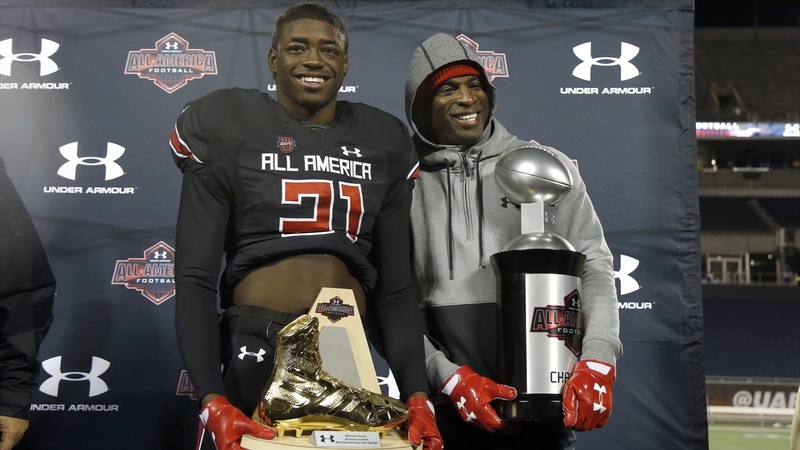 Clark and Palmer are both visiting Jan. 12 and I predict both of those true corners will commit to Nebraska. If they miss on one of those two, George would be someone to watch to join the class, but he is down the board a bit from Clark and Palmer. Athlete prediction: I believe Nebraska would like to add Hall as a swing player because he is a very good wide receiver and defensive back. It would be hard to turn him away. Jones is a Vanderbilt commit and has narrowed down his choices to Vanderbilt and Nebraska. He is set to visit Jan. 12 and I believe he will flip after his visit. He will be used as a gadget-type offensive player with the Huskers who can be a threat to score from anywhere. If you are keeping count (and you should) I have Nebraska adding 12 prospects to the 14 they have committed now bringing the total to 26 players in the recruiting class. However, if Mapieu doesn’t qualify it's 25 players which is the max Nebraska will be able to find a way to take this class. Also, I do have them adding three running backs (Washington, Henry, Jones) because they need to have insurance for Tre Bryant. It will be a fun finish to the class with so many quality prospects on the board.